Coordinating the counter proliferation of weapons of mass destruction is now in the hands of U.S. Special Operations Command, but it shouldn’t be on them alone, members of a panel at a National Defense Industrial Association symposium argued Wednesday. "Culturally, SOCOM, they are the solution people. They solve problems. 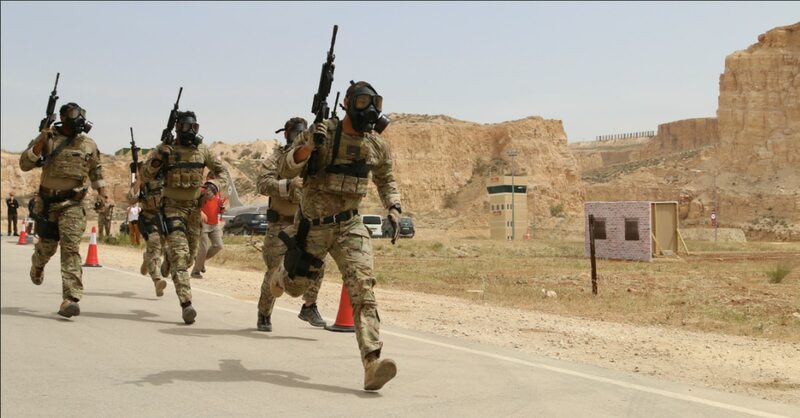 They fill gaps," said Michael Lumpkin, a retired Navy SEAL and the Pentagon's former assistant defense secretary for special operations and low-intensity conflict. “But they may fill gaps that aren't theirs to fill,” he added. “The other agencies have to do their part. ... If those departments don't have skin in the game, they're less likely to support it." Since 2005, the counter proliferation mission was owned by U.S. Strategic Command, but the mission began moving over to SOCOM’s purview in 2016, hoping to capitalize on the counterterrorism model the command had become so adept at conducting. The decision to give SOCOM yet another leading role is said to be in response to long-standing complaints that STRATCOM had not devoted enough personnel and emphasis to counter WMDs, according to a Congressional Research Service report from January 2017. Still, there remain concerns about how to properly fund, execute and coordinate the far-reaching mission on the SOCOM side. Michael Waltz, another panel member, former Green Beret and current CEO of Metis Solutions, LLC, cited a recent United Nations report that highlighted the transfer of chemical weapons manufacturing equipment from North Korea to Syria, to include acid-resistant tiles, valves and pipes. 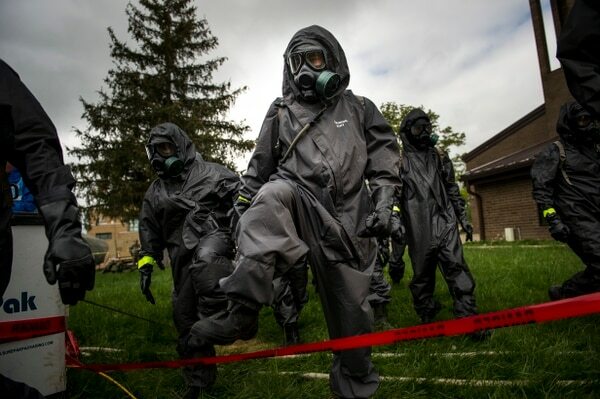 "If you take [the report] at face value, it’s looking at 40 to 50 previously unknown, unreported shipments of essentially chemical weapons components, from North Korea to Syria,” Waltz said. “Last I checked, Syria's chemical industry isn't thriving, so I think it's safe to assume what those components are for." Given that, Waltz expressed concern that a whole-of-government approach wasn’t being fully implemented in preventing WMD proliferation from North Korea. "I think they're really suffering in many respects, if I can be candid, with the lack of appointments and what's going on within the State Department,” he said. Defense and veterans hearings for the week of Feb. 26, 2018. If the State Department doesn’t have the resources needed, the mission will ultimately fall back to SOCOM and DoD alone, Waltz said. "And again, the reality of their authorities, versus what they're asked to take on, I don't think are really meshing," he concluded. Another existing problem: counter proliferation is a long-term problem, meaning it requires long-term funding. That base budget would be a recurring set of funds provided to SOCOM’s counter proliferation mission at the beginning of each budget period. In a way, SOCOM has been a victim of its own success. Lumpkin said they have earned the brand of “SOCOM can do everything,” but “they can’t,” he added. “I mean, with a 31 percent budget reduction at the State Department, [and] reductions across the executive branch, there are massive holes in capability,” Lumpkin said. “So, no, we’re not resourced even close to deal with this issue,” he said. The Trump administration on Thursday accused Syrian President Bashar Assad’s government of producing and using “new kinds of weapons” to deliver deadly chemicals despite committing to abolish its program in 2013, and said the world must find a way to stop it. “We have a $700 billion budget but we don’t have the resources to stop WMDs?” Waltz asked, while also plugging his own candidacy for Florida’s 6th Congressional District seat in the upcoming election there. “And I raise that because from outside conferences like this, while I completely understand where Mike [Lumpkin] is coming from, I’m telling you, if you go to an American out there who’s just trying to make it through the week, and tell them that on the one hand we have a $700 billion [budget] but yet we don’t have the resources and investments to do something like, I don’t know, stop WMDs from coming into the United States ... people are going to throw me out of the room,” Waltz said. 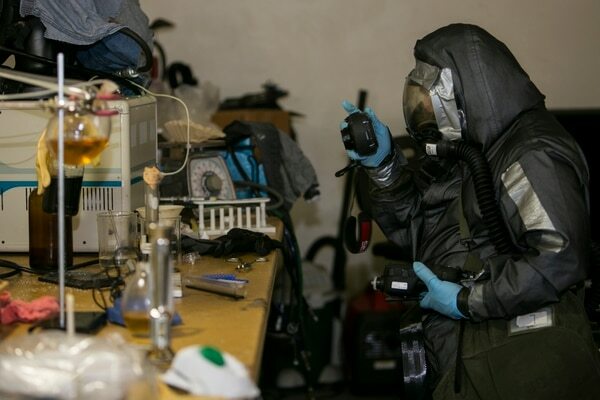 Regardless of budgeting concerns, there remain emerging threats that must be dealt with, according to Army Col. Lonnie Carlson, a senior operations officer in the Department of Homeland Security’s counter-WMD office. The siege of Mosul and targeted killings of chemical weapons experts in U.S.-led coalition airstrikes have significantly degraded the Islamic State's production capability, although the group likely retains expertise to produce small batches of sulfur mustard and chlorine agents, a London-based analysis group said Tuesday. “We are working on a real-world threat related to ISIS in the WMD space that is really an export of something happening in the Middle East that is causing us to devote thousands of dollars in very near-term funding,” Carlson said. He further noted that the White House has already had “principal committee-level meetings with senior cabinet officials” on this issue, but refrained from providing further context. “The bottom line is the threat is real,” he added.